The Pokémon Company released a special Pikachu themed 3DS XL last month in Japan; now it has another similar Pokémon-themed 3DS XL coming soon, this one featuring Charizard. You're going to need a Masterball to catch this one, as it won't be so easy to obtain. Between 3rd November and 26th November, at Pokémon Center shops across Japan, reservations will be decided through a lottery. 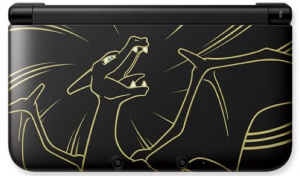 The very lucky people who win will get to buy the gorgeous Charizard 3DS XL for 18,900 Yen between December 15th and January 14th. A lottery to win the right to buy a system may sound strange, but we can be pretty sure that it'll be hugely popular. We can't see this coming to the West, but one can dream, right? Much better than that ugly Pikachu one. I'd be throwing money at them if it released here.. Damn, I really want one of these. This would fly off the shelves. No pun intended. I feel like a kid already when I'm playing my 3DS while getting to my university, This will only make it worse. I really hope Nintendo will try to reach their more mature audience with special editions once in a while..
Love how it spits fire on the bottom. Nice design. I want a 3DS from Japan so badly and this looks to be the perfect one! Too bad I don't live there. It's only surprising that they haven't shlaped Mario themes on a 3DS yet... well at least i don't think they have. That's pretty awesome. It seems kind of random though. Or could this be a sign that they're finally going to release Pokemon Red/Blue on the eshop? I wanted Pikachu... But this is so much better! why is it always upsidedown? Dracaufeu (Charizard in french) is really beautiful!!!! WANT WANT WANT WANT WANT WANT WANT WANT WANT WANT WANT WANT WANT WANT WANT WANT WANT WANT WANT WANT WANT WANT ! This is a really great design, I would buy it if it came to Europe! @nindocrash If you're talking about about the 3DS in general and not just the XL (you didn't specify) then Ninty has already made three Mario-themed special edition 3DS's. Thats the most beautiful 3DS yet. I'd like it if thees themes, were also skins, so they wouldn't be so hard to collect. I'd upgrade to 3DS XL if we'd get this. My old 3DS works fine but that thing is awesome! That is pretty sweet. The flame on the bottom is a nice touch! At least it looks loads better than the crappy Pikachu one. Forget Pikachu, I'll take Charizard! Yays! I thought it should have been a fire type from the start. I have always disliked the way they put the designs upside down. I would certainly buy this if it came to America. Oh so cool, but only if it wasn't an XL, honestly. 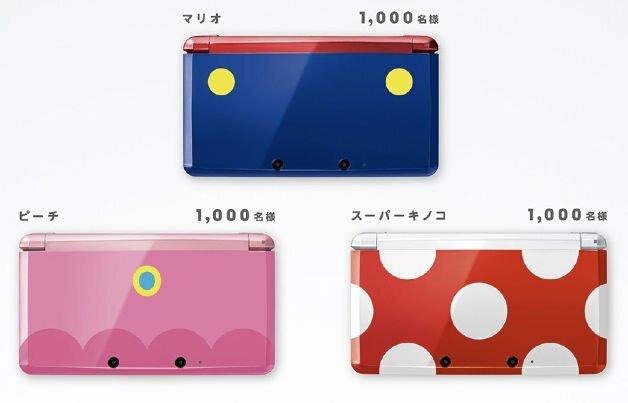 Japan: Always getting the good handheld designs. Damn I want one...would definitely buy if it was in the U.S.
if i bought one from japan could i still do everything like if i bought it here in north america ?